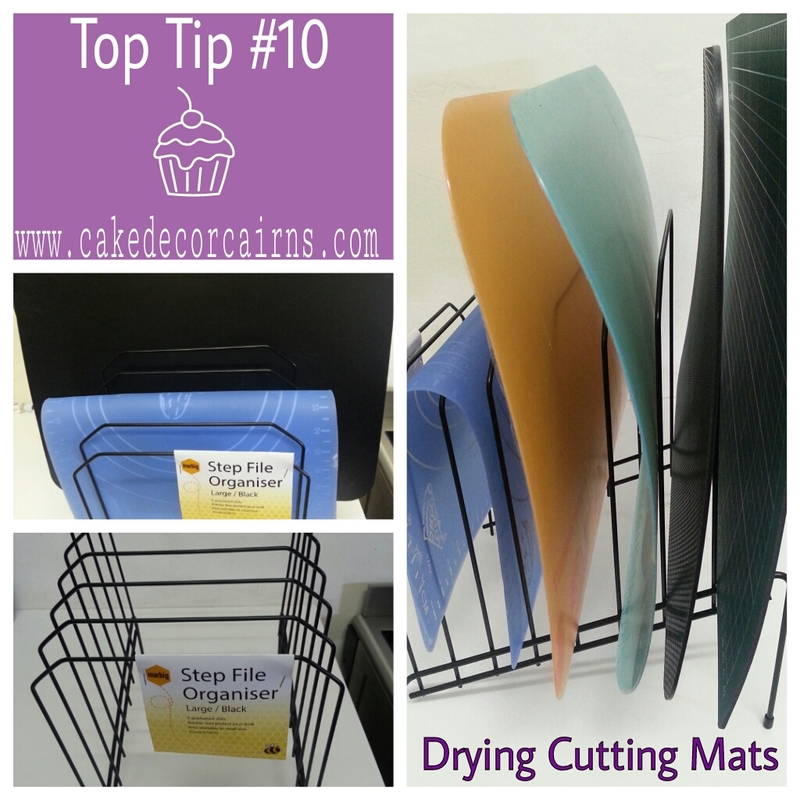 Do you find it a challenge to get all your cutting mats to quickly dry without spreading them all over the kitchen? I seem to always have at least 4 or 5 mats on top of other tools and equipment to air dry, which makes no room on my dish rack. Besides my largest mat is too wide to fit! Then there are after workshop days where I have 10 mats at a time to wash, sanitize and dry! To solve my dilemma I picked up a file divider from the stationery section at my local Big W store! It works a treat and fits perfectly on my sink and bench top. I chose a file divider as it's light, as 8 slots, the coated wire makes it thin enough to drape not cutting silicone mats on there also. I'm not one for buying novelty items, so of course this has a dual purpose! It can be used as a wired flower drier when I need them upside down to set! Genius or what!! !